RUSH: Wooster, Ohio. This is Joe and welcome, sir. Great you have to here. CALLER: Thanks, Rush. I got three quick points. One, I wanted to let you know I’ve watched your show back in ’94 and ’95 on TV and just two days ago I joined Rush 24/7 on an annual basis so I get to see more Rush. RUSH: Well, thank you very much. I appreciate that, sir. Congratulations. It’s such a wise decision and expenditure. CALLER: Well, I think so. It leads me to my second point. If you think you look good on Dittocam, try taking an iPhone and plugging it into a projector, because I watch you on 130-inch screen every night. RUSH: Wait a minute. Say that again. You think I’d look better on an iPhone instead of the Dittocam? Is that what you’re saying? CALLER: No, no. I take my iPhone; I plug it into a projector so I can see you on a 130-inch screen. RUSH: Oh! I got you. CALLER: It’s still not enough. RUSH: Ha! Is that a projector or an actual TV? RUSH: Quick. Quick. A 130 inches is how many feet? CALLER: Oh, gosh, don’t make me do math right now. RUSH: All right. I’ll exempt you because we’re short of time. RUSH: Get to your next point. CALLER: Yeah. The closeness of last night’s election. I think it tells me that this wasn’t a rejection of the ideology of the Republican Party, just a rejection, really, of the candidate that was chosen. So I think our party will be fine. I just think that we had the wrong guy propped up. RUSH: Well, I haven’t finished… Look, some of that I don’t disagree with. The bit about it, the ideology? That’s probably true. It’s a toss-up. But it was a loss. One thing, you can take these losses and say, “He only lost by 21,000; it was close. He only lost by 10,000! Hey, it was close! We only lost…” It’s a loss — and for the Democrats, it was a huge win. How did they do it, and what does it mean going forward? This is a point that I made yesterday. We have now had something that is a genuinely serious thing in its own right, in its own contained universe, sexual harassment… The use of sexual harassment and the mistreatment of women or others in the workplace is a legitimate thing. But it’s now just been corrupted and weaponized and made to look like a political opposition-research weapon. And that’s exactly what’s happened. And so anybody can see. And you can see that when one of these allegations is made, the women are believed, and the men who are accused are not. Which means the men have to prove a negative, and the accusers don’t have prove anything. That is a powerful weapon the Democrats have decided to use. And believe me, as we speak, they are behind closed doors creating further stratagems using this. And they are picking their targets. And you’re gonna see more of it, I predict. RUSH: Jessica Fletcher was the character that Angela Lansbury played on Murder, She Wrote. I confused it with Miss Marple, Agatha Christie character. RUSH: Bob in Lyndon, Michigan. You’re next. It’s great to have you here. How are you doing? CALLER: Hi, Rush. Talking to you is the next best thing to talking to our president. RUSH: Well, I appreciate that. Thank you and I appreciate it very much. 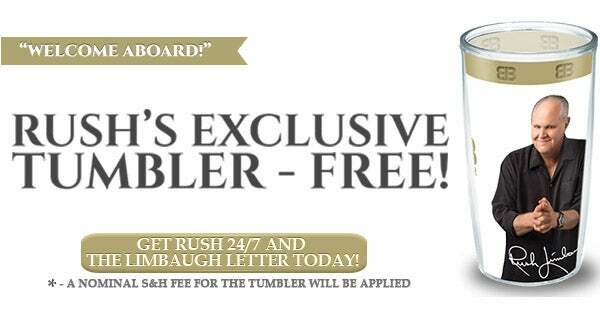 RUSH: It is free. Exactly. We’re paying for everything that might cost you money here, that’s exactly right. RUSH: It can happen. You have to be a Democrat or a Democrat donor or a Democrat bundler or a Democrat fundraiser, and you have to be likable, and you have to be liberal. And if you are those things, then you at least have an opportunity for all of that bad actor stuff to be overlooked. But if you’re a kook right-wing who believes in the Ten Commandments, you’re toast. RUSH: I’m telling you if you didn’t do something as a teenager and if nothing ever happened to you as a teenager, and you want to run for an office the Democrats think is theirs, be ready for a woman you never heard of to step forward and claim that you tried to ram your tongue down her throat. RUSH: And you better be able to find a way to prove that your tongue has never been where they say it went. RUSH: And how do you prove that? How do you prove that your tongue never made it halfway down the throat of somebody you never met? CALLER: That’d be just, I mean, we’re in trouble. RUSH: And then when it happens you better be prepared for the Republican establishment to start saying what a reprobate you are. CALLER: Yeah, you are right. You got that nailed. RUSH: I usually do. It’s a serious thing. You’re asking a serious question. How does somebody defend themselves against something that happened when they were teenager or 25 or 30 years old when they’re now 65 or 70, it really depends who you are. 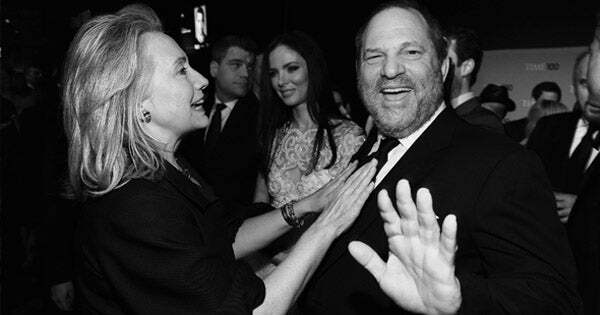 It depends if you have charisma, depends if you’re likable, depends if you’re liberal Democrat, and it depends on how much money they’re willing to pay the woman. Now, the scenario you’re asking it didn’t happen. That’s the context in which I’m answering this: It didn’t happen. None of that applies to this. RUSH: Folks, the Democrats didn’t treat Mitt Romney any differently than they treated Roy Moore. Of Romney they said he was a tax cheat, didn’t pay his taxes for 10 years, and a murderer. He didn’t care that the wife of an employee of his died. It’s what they do.